You are here: Home / Analysis / How to Do Intraday Trading in Stocks? It is a well known fact that most intraday traders don’t make money in the market. One day they book a profit but the very next day they incur a loss because either the market goes into correction or because they had made a wrong buy to start with. Whatever the reason, it is important to understand the fundamentals of intraday trading, if you hope to make money consistently in the market. In the following paragraphs I will outline the basic guidelines for intraday trading. 1. Choosing the Right Stocks. Most day traders like to trade in stocks which have liquidity and volatility. Liquidity means that there is enough volume of shares being traded. This allows you to enter and exit the market at the right price without having to worry about buyers or sellers for that particular stock in the market. Also you can trade in higher volumes. Volatility assures that there are vast movements in the price of the stock which could translate into greater profits (or even losses). Some examples of both liquid and volatile stocks in the market are Reliance industries, ONGC, SBI, Infosys etc. 2. Do your homework. Before you buy or sell a stock, it is important to understand the fundamentals of the stock. You should find a sector that interests you and in that sector, find a few shares that you would be interested in trading in. After this observe the stock for a few days to notice its movement, volumes, liquidity etc. It is also important to see how strong the company is. It is advisable to not trade in news driven stocks, because in such stocks the risk associated is much higher and it is often difficult to predict the entry and exit points. 3. Find stocks that move with the market. There are a number of stocks in the market which have a great correlation to the movement of the major indices. What this essentially means is that they mirror the movement of the indices. For example if the sensex is increasing these stocks will also tend to rise and vice versa. This makes it easier to predict the movement of the stock and thus increase your chances of making a profit. For example, the oil and gas stocks will move in tandem with the price of crude oil. Therefore it becomes easier to predict their movement. On the other hand there are a number of stocks which have no particular pattern to their movement. These stocks are called chaotic stocks and should be avoided. Some of the midcaps and most of the small caps fall in this category and make a risky trade. 4. Recognise the right price. There are various strategies that traders follow to find out what is the right price for entry and exit from a stock. They use a combination of resistance and support prices of a stock to decide when to buy and when to sell a particular stock. Generally speaking, if the share price is above the base price one should buy with a target of selling at resistance levels and if the share price is below the base price one should sell with the target of buying at support levels, where base price is the average of high, low and closing price of the stock. 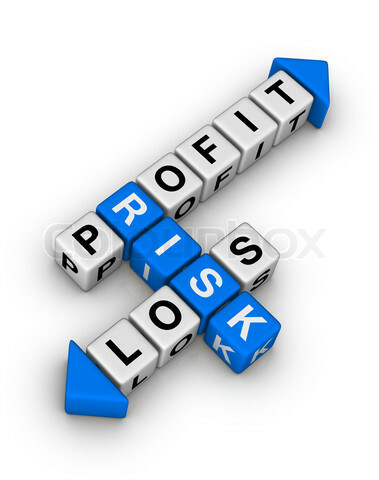 Many traders like to book a profit immediately after the trade becomes profitable. While others like to ride the momentum. Whatever your strategy, it is important to stick to it in a disciplined manner. 5. Keep a stop-loss. The importance of sticking to the stop loss cannot be over-emphasised for day trading. Many traders find it extremely difficult to book a loss and thus take delivery of a stock if its price goes down. What happens in such a scenario is that you have gone against the basic fundamental of day trading by not keeping it an intraday trade. So now you do not know when the stock will recover and if you will be able to exit. By doing so, many traders are forced to keep the stock for the long term and often get stuck with it. Therefore you should always have a stop loss and stick to it. 6. Finally, move with the trend. If the market is in an uptrend or in a bull run, it is usually a good idea to stay long. And if the market is looking bearish then either you can short or wait for stocks to hit their bottom before taking a long position. Intraday trading is a mind game and only the strong survive. But with the guidelines outlined above, it is possible to make money as an intraday trader. Discipline and consistency are the two key words in winning this game. Good one ! Thanks for the above write up. Can we see the 15 minute and hourly charts? Also, always view the movements in the market, even find whats the reason that market is up or down. This helps to analyze market easily. ya nice one. I want to do intraday but i dont know how to do intraday. can you give some tips or do help . please………. pl, tell me how to do intraday trading in internet with example. i m being emotional to attach with stocks , i have read found sound to understand ,, thanking you for this g8 …..
i have done my technical analysis t course. as per my trainer of technical analysis he says that as i new in this share market. he told i need do intraday trading in nifty only. i am strictly following this things. thanks for above guide line. hi till me about intraday exp. I WANT FREE UPDATES FOR ONE YEAR SO THAT I CAN TRADE COMFORTABELY FROM ALL COMPANIES…. Is it possible to trade in this way, I mean is it really works in such way ? Is it also possible to Buy stock on delivery basis But can I sell on the same date of purchase ? Please clear my doubt ! The article by Mr. Gupta is indeed good and eye open. First timers must follow his advice.